I've recently started really liking to wear white floral ties in different type of combinations. 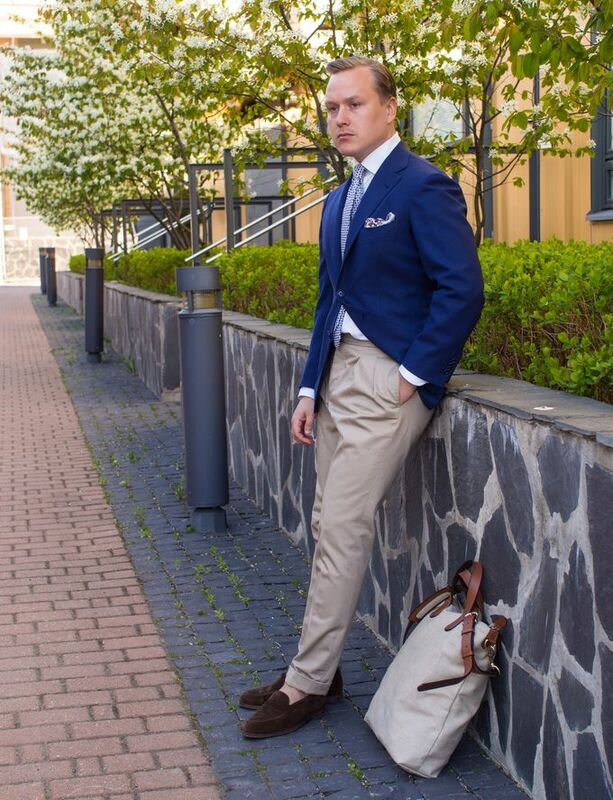 Today's outfit post is perhaps my current favorite type of white tie look, implementing it to a fairly classic summer sport coat outfit with a white shirt. 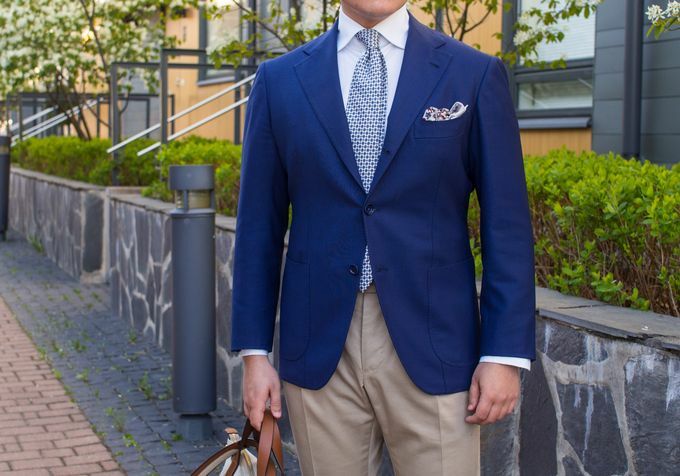 The worn items include the jacket from my bespoke Sartoria Dalcuore suit, Shirtonomy mtm shirt, Viola Milano 5-fold silk tie, Drake's silk modal pocket square, Luxire mtm trousers, Septieme Largeur loafers and Mismo linen tote bag. 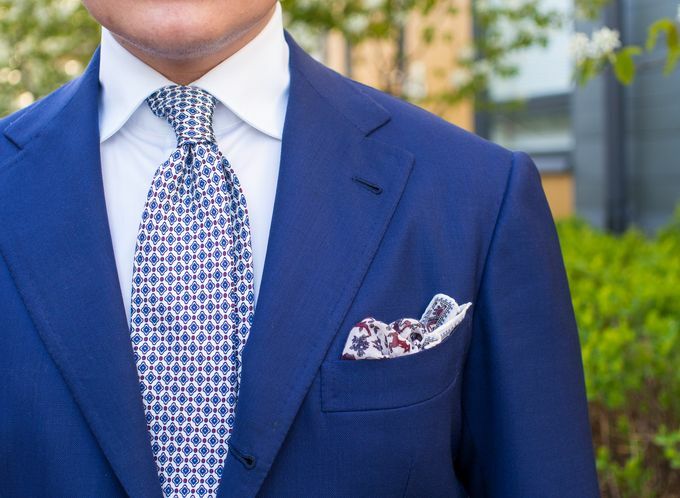 The blue and red in the geometric pattern of the Viola Milano tie is complemented by the blue jacket fabric and the pocket square with similar color palette. I love how the white tie makes the general outfit so very fresh and a little bit different from using more normal ties. Probably the most common way to wear a white tie is to combine it with a darker shirt such as a denim dress shirt. While those looks can be very nice, I personally prefer using a white shirt with a white tie. White tie or not, this outfit is generally speaking a very classic summer look. 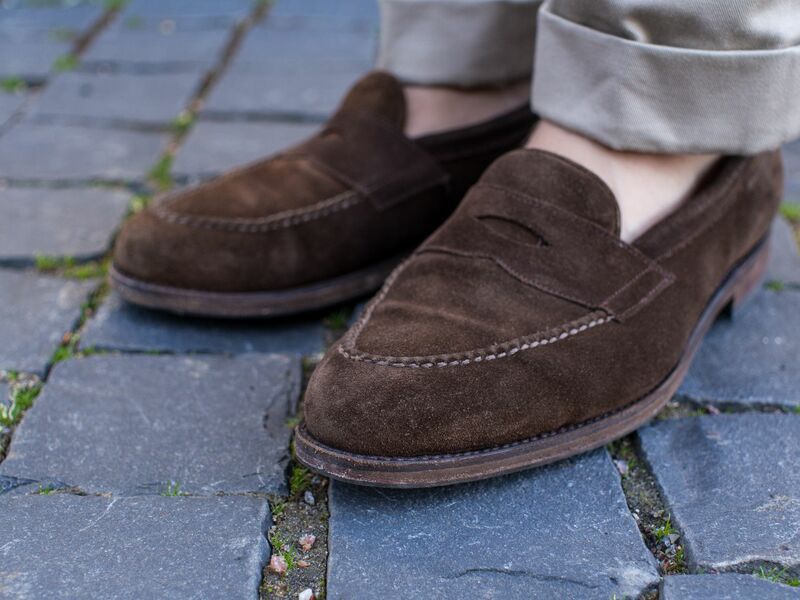 Middle brown suede penny loafers are therefore one of the best shoe options and also my choice in this occasion. 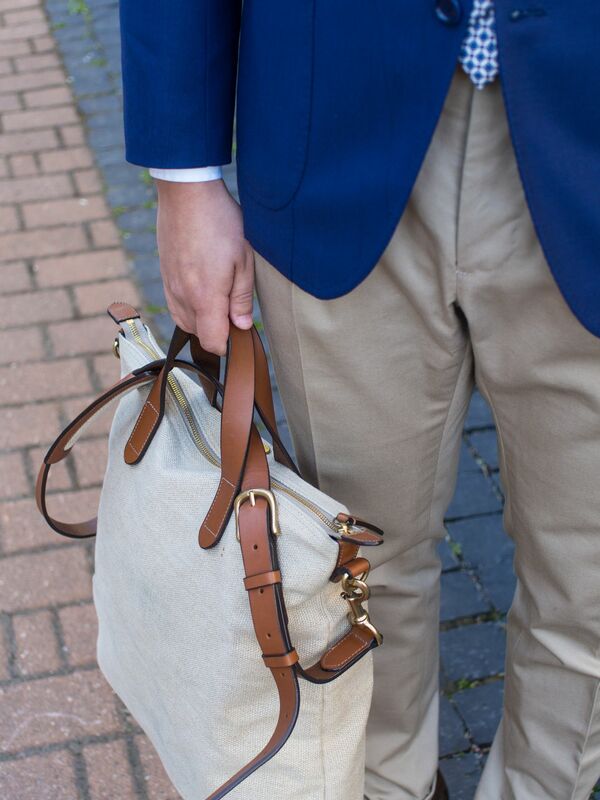 A seasonal casual bag can be a big improvement into any look and naturally also useful if you want to carry things. My Mismo shopper tote bag has been a good companion for years, and I must say I quite like the heavy linen fabric it is made of.